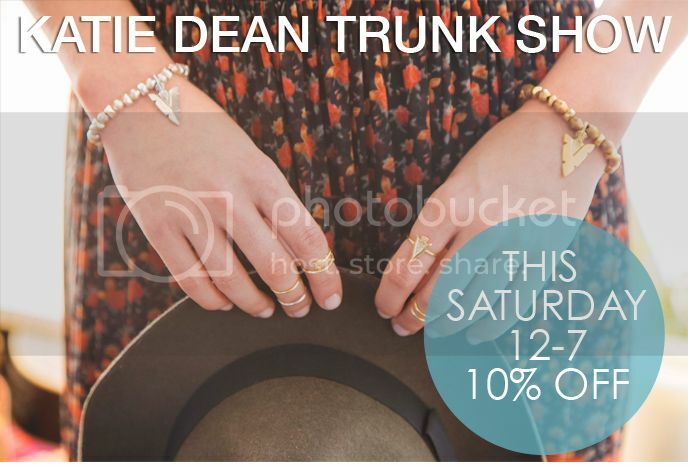 Los Angeles based jewelry designer, Katie Dean Jewelry is coming to town for a TrunkShow at Mission’s fan­fav BellJar Boutique on March 15th. A blogger and celebrity favorite, Katie Dean Jewelry invokes an air of whimsy that tops off any outfit. Katie Dean Jewelry is handmade in Los Angeles. All San Francisco and greater SF area fashionistas and jewelry lovers are invited to meet the designer and play dress up at BellJar Boutique on Saturday, March 15th, 2014 12pm ­7pm (maybe even walk away with some killer new pieces that’ll be 10% off for the day, in­store only). Shoppers will also enjoy some tasty treats and bubbly (while it lasts, peeps). Belljar will also be offering 10% Off apparel in-store only!! See you there, darlings!